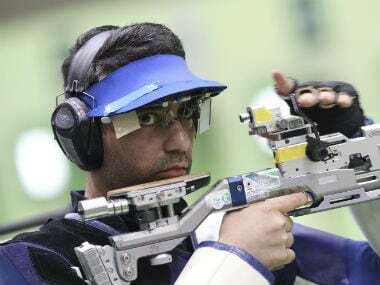 Mumbai: Director Kannan Iyer, who is helming the Abhinav Bindra biopic, hints that the Olympic gold medallist might appear in the upcoming film on his life. The yet-to-be-titled movie is being adapted from Bindra's autobiography — A Shot at History: My Obsessive Journey to Olympic Gold and Beyond. When asked if Bindra would make an appearance in the film, Kannan told PTI, "Yes, possibly towards the end, it is a kind of tradition in sports biopics but we are yet to decide." The plot of the film, which features Harshvardhan Kapoor in the lead role, will pretty much pan out on the lines of the book, he says. "He has written a book, so we are going by that. He has loved the script and is always available for consultation." The Ek Thi Daayan director reveals Harshvardhan has begun his training under a trained shooter. Recently, the Mirzya actor posted a brief video holding a gun and listening to the instructions of an expert. "He will be training for some time under the world class shooter Suma Shirur, followed by sessions with Abhinav." The real life father-son duo of Anil Kapoor and Harshvardhan will be sharing screen space for the first time for Bindra's biopic. "Both are such good actors that they can do anything on screen. Dil Dhadakane Do showed a beautiful relationship between Anil and Ranveer Singh as father and son... And they will do a terrific job," says Kannan. He adds, "There will be a romantic interest in the film... what is more likely is there will be a new person. But it is too early to talk about it." 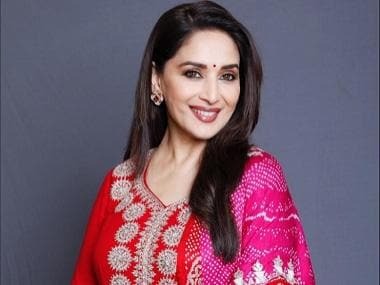 The film will be shot mostly in Chandigarh; some portions will be shot abroad and the Olympic part will be shot on the sets in Mumbai.